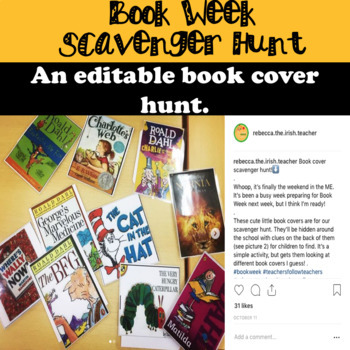 BOOK WEEK: Activities, planning (cross curricular) and a booklet jam packed of ideas and events. 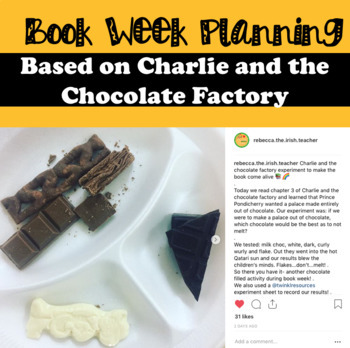 • Book Week Lesson Plans based on Charlie and the Chocolate factory. 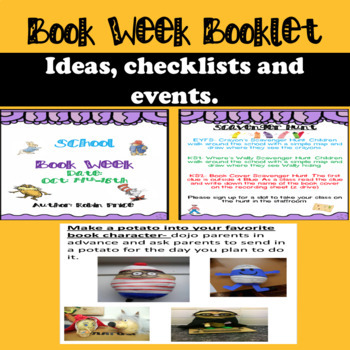 • Book Week ideas/activities such as Bedtime Reading event and design a potato as a book character. 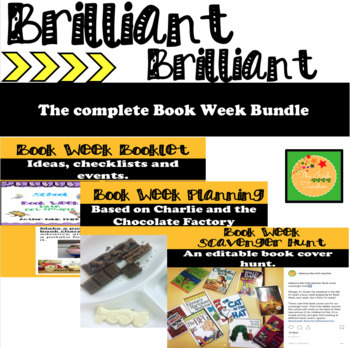 • Book Week checklist to ensure all staff have everything ready the week before. Check out the resources below for a more detailed description.